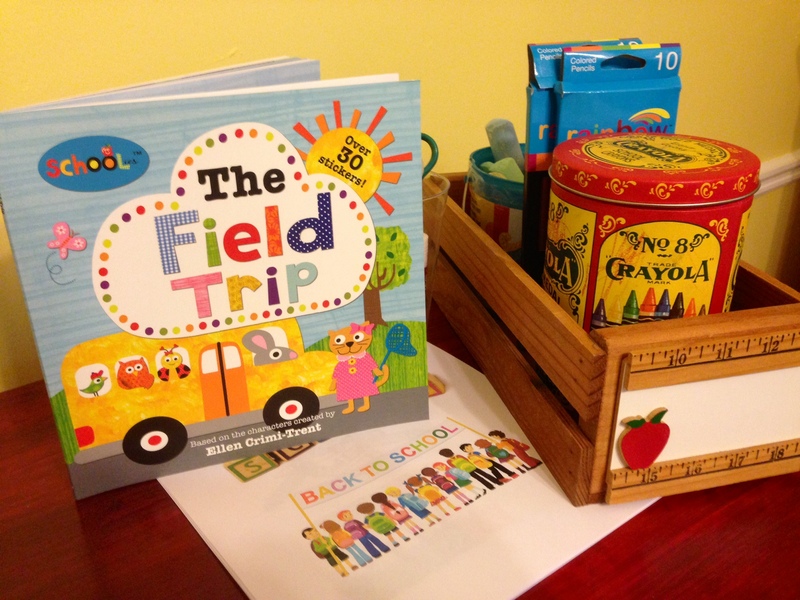 Yesterday, I hosted a small Back to School Brunch for Olivia and my girlfriend’s two kids. Fall is almost here and I hope that I can get back into some of my usual routines – one being blogging! Besides a fun time for my friend and the kids – the best part about this party was it was completely outfitted from the dollar store! (Except for some items left over from The Cat in the Hat party!) I also only served food that was already in my fridge. Affordable and fun – my favorite things! 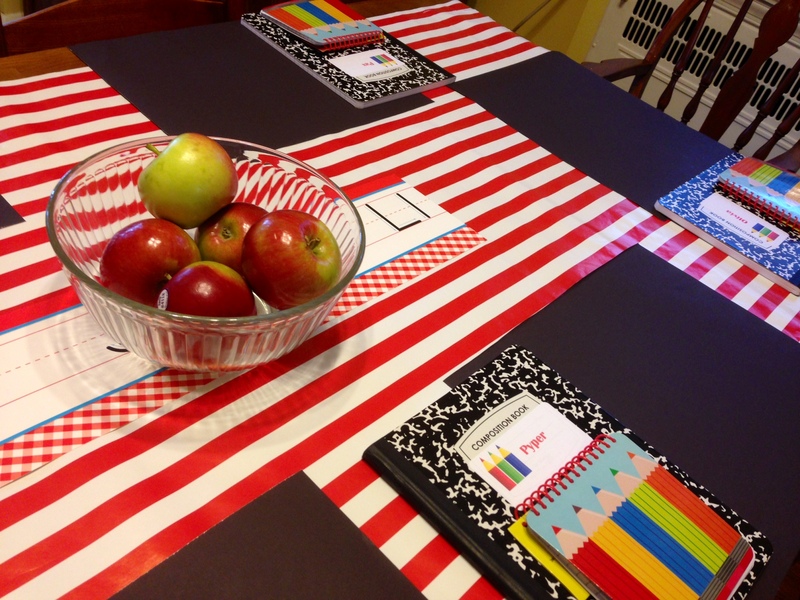 Red and white striped wrapping paper table cloth with black poster board “chalkboard” place mats. 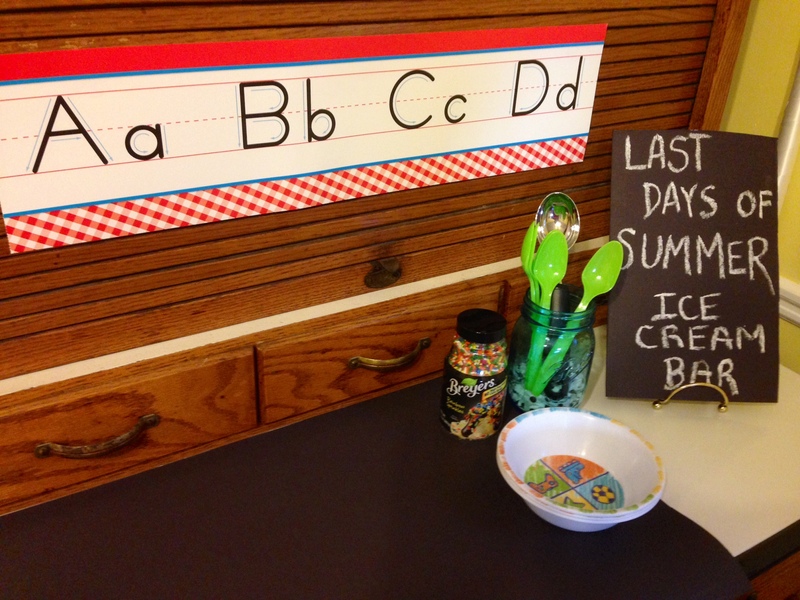 Every Back to School Party should also celebrate summer – and what better way than with an ice cream bar? Are your kids back to school tomorrow? Already started? How did you celebrate the end of summer? Leave me a comment and let me know. Up next – my Fall preview for TV!! I’ll publish this week before all the good shows start again. Have a great Sunday and thanks for reading.